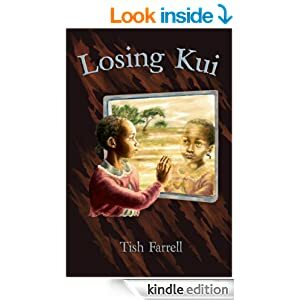 Posted on February 28, 2015 March 2, 2015 by Tish Farrell	This entry was posted in Photo Challenge, Travel and tagged big cats, cheetahs, Kenya, lions, Maasai Mara, Maasailand, Marsh Pride, Tish Farrell Writer, Where's My Backpack Travel Theme. Bookmark the permalink. Tish these are amazing! What an experience to capture such images. It was indeed, Sue. I still can’t believe how lucky we were to spend so many years living in Kenya. It must have been amazing. Truly astounding photos. What an experience to see these great cats free, not in cages. I hope they can survive the incursions of humankind. That is a worry, Marilyn. What’s heartening is that there’s an awful lot of Maasai Mara that is not in the national park, but part of territories owned by the Maasai (so called group ranches). Since they draw direct income from the safari camps on their land, they tend to take care of things – along with charitable conservation groups that monitor poaching. They also provide patrolled wilderness areas for threatened species like the white rhino. What an adventure! Stunning captures, Tish! You bring magic to us! Another brilliant gallery Tish! The big cats have such an alluring presence. That’s praise indeed. Much appreciated, Dries. They are so captivating, I agree Isadora. They seem to have such faith in their own big cat authority. They’re so at home in their beautiful skins aren’t they. What a majestic sight !!! He is something isn’t he. Caught in mid roar too. I have a great love for cats. And the bigger, the better. How wonderful it would be to get to know each one personally. They are definitely their own creatures, Shimon. Such self-possession, but deadly too, not like your dear Nechama. Definitely an amazing sight. Great shots. Your lion is majestic, but the first photo with unconventional composition is my favourite.